Two exceptional fighters, their careers resemble a steady river stream that gives for years. 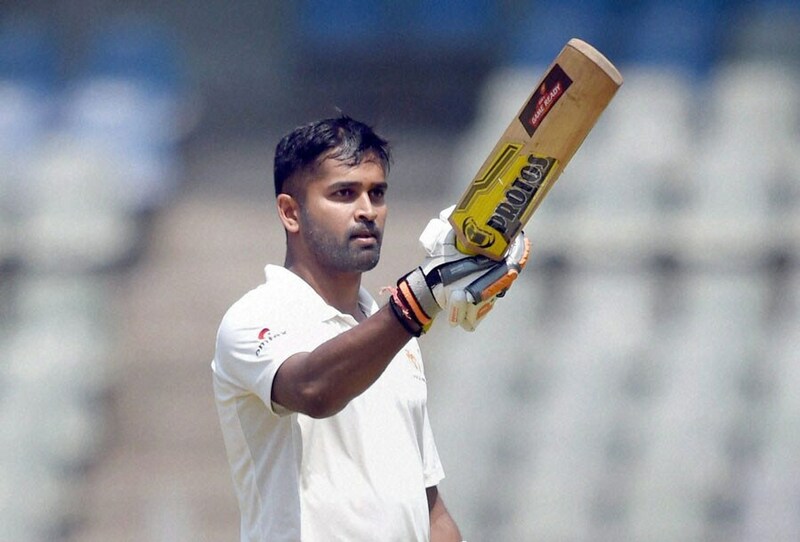 The second round of the 2018-19 Ranji Trophy was memorable for R Vinay Kumar and Abhishek Nayar. While Vinay represented Karnataka in a Ranji game for the 100th time, Nayar, who made his debut for Puducherry, played his 100th first-class match. These two domestic titans immediately take the mind back to the 2014-15 Ranji Trophy semifinal between Karnataka and Mumbai. The stakes were high. Mumbai had conceded the title in the previous season, and Karnataka were the defending champions, having won the Ranji Trophy for the first time in 15 seasons in 2013-14. 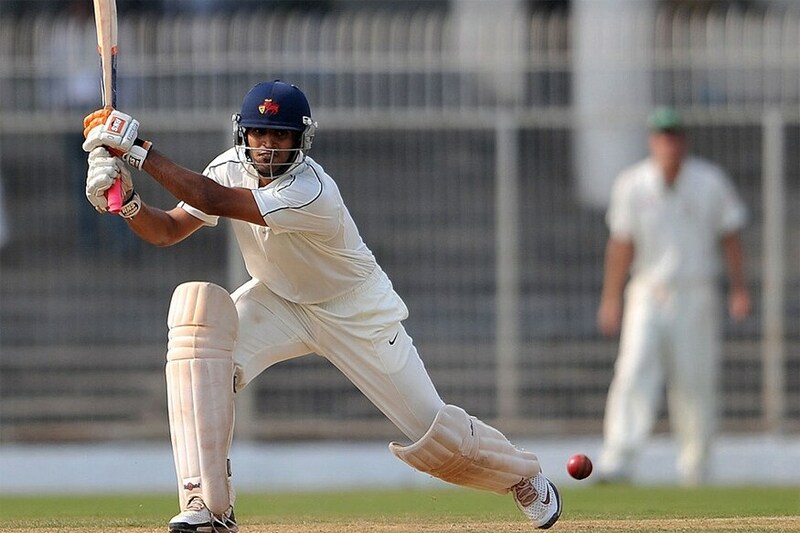 Mumbai dismissed Karnataka out for 202 on a lively surface with cracks in Bangalore. Vinay, Karnataka’s skipper, was furious. He used his rage to produce figures of 6 for 20 and bulldoze Mumbai for 44. A high quality display of swing bowling. By stumps that day, Karnataka were batting once again. The mood shifted from despondence to thrill in the press box, filled as it was with local journalists. Nayar did not bat in Mumbai’s first outing after falling on his head while bowling on the first morning. The official word was that he had complained of vomiting and headache, and had “concussive head injury”. With Mumbai chasing 445 for an improbable outright win, Nayar, against the wish of the team management, batted in the second innings to attempt a respectable draw. He remained unconquered for 51 minutes with much discomfort on the third afternoon and stretched the game into the penultimate day. He did not bat the next day, and Mumbai lost by 112 runs. 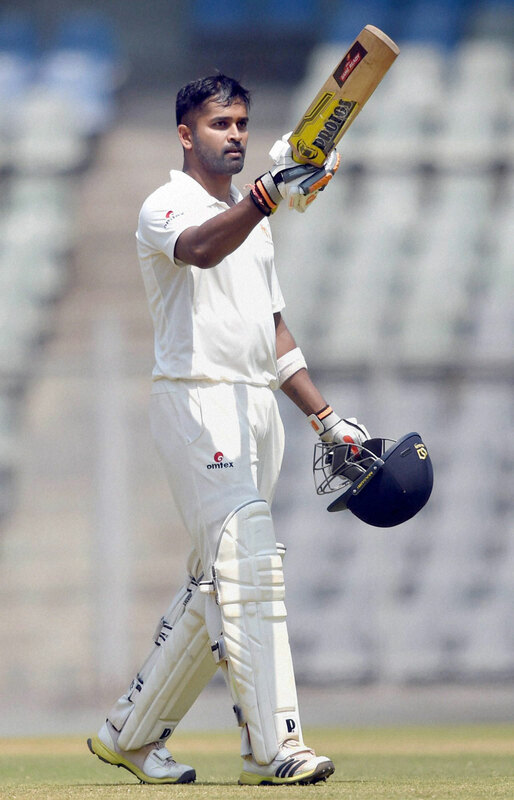 Karnataka then beat Tamil Nadu in Mumbai where Vinay became one of the rare Ranji captains to score a century and take five wickets in an innings in a final. Then there was the epic 2010-11 Ranji final in Mysore where Nayar and Vinay were crucial for their respective teams before Mumbai prevailed by six runs. India’s domestic first-class system is different from the County Championship in England, meaning teams play only a handful of matches every year. That lends perspective to Vinay’s hunger. Before Vinay, only 40 players have breached the 100-match barrier in 85 seasons. Devendra Bundela, the most-capped Ranji player with 145 appearances – all for Madhya Pradesh, played an average of six to seven matches per season over 23 years. And, among those who have passed the longevity test, only a few have 100 caps for one team. Vinay is only the third Karnataka player, after Brijesh Patel and Sunil Joshi, to achieve the feat. He reached there in 15 seasons, showing a strong desire to keep himself relevant. There are various factors involved in playing for one team for so long. Team managements change, and new personnel come with their own set of ideas. If the coach’s ideology is different then game time dries up for the player. There are also players who feel let down by their home association, and turn professional, also a way to maximise their earnings towards the fag end of their careers. Another lot is the former India players who use the domestic platform to script their comeback. The domestic grind doesn't excite them anymore after tasting the highs of international cricket, but some play out of compulsion. Players shifting to an association from where the national chief selector or the board president belongs is not uncommon. Priorities change. Athletes are usually selfish, and cannot be blamed for thinking for themselves. Between all these contradicting thoughts, the mind gets cluttered. Apart from skills, it takes mental toughness and self-discipline to compartmentalise these demands between team goals and personal objective at the peak of one’s career. The trained eyes pick that up. Vinay was at a critical juncture in November 2013. He had conceded 102 runs in the last ODI of the series against Australia in Bangalore where Rohit Sharma scored his maiden double-century. This correspondent met Vinay during a Ranji match soon after that, and, not even 30 then, he was confident of a comeback. What struck from that conversation, though, was he stressing that his personal aspirations could not come at the cost of Karnataka’s dedication to becoming a special team. The way he had come from the small town of Davengere, more popular for benne (butter) dosa, to understand the nut and bolts of the cosmopolitan structure of Bangalore had already set an example, but now he was expanding his vision. He demanded unconditional loyalty to the Karnataka cap from everyone involved. He spoke about the need of he and other seniors using their international experience to create a dressing room culture that festered positivity and bigger dreams. We did not know then, but Vinay established his stature as an exemplary leader with six titles for Karnataka over those two seasons. KL Rahul, Manish Pandey, S Aravind and Karun Nair have played for India since then, and many others for India A. Master of a shrewd brain who outthinks batsmen for fun, Vinay led the way with a tally of 174 first-class wickets in 45 matches since the last of his 41 India appearances. Similarly, Nayar fought his inner demons and injuries after the last of his three ODIs in 2009. He understood the need for a bigger cause than just personal statistics. It is well known how Nayar played a role in reviving the international careers of Rohit, who was not named in the 2011 World Cup squad, and Dinesh Karthik more recently. He also helped the domestic cricketers with financial management and training, positioning himself as an unofficial mentor. Knowing what he missed when was a junior, he became the bridge between Chandrakant Pandit, the hard taskmaster coach, and Mumbai players when they reclaimed the Ranji title in 2015-16. Mumbai moved on despite Nayar being the Man of the Match in a narrow win against Hyderabad in the 2016-17 Ranji quarterfinal. At no point did Nayar express his frustration. Instead, he was grateful to Mumbai for all the memories, which included five Ranji titles. He acknowledged the changing times and lived his dream with Puducherry after a season’s gap. Vinay and Nayar, both affable personalities, made their respective Ranji debut within a season of each other. Their maiden games featured some of the stalwarts of the circuit. Now seniors, they carry the dressing room stories forward from one season to another, introducing the newcomers with the legacy they are inheriting. Definitely not ‘unsung heroes’ – a lazy way to categorise them, they are as valuable to Indian cricket’s folklore as a player with 200 Test matches.